Today is the day of Serena Chase’s The Seahorse Legacy redesigned cover reveal! I’m dancing an Irish gig and throwing confetti around my room. Not really. I may have Irish in me, but I can’t dance and I don’t have any confetti. But even if I had confetti and even if I could dance I would probably be doing both because I’m really thrilled about this cover because I adore these books. I have read them through twice this year already. And the day is finally here to reveal the new cover. 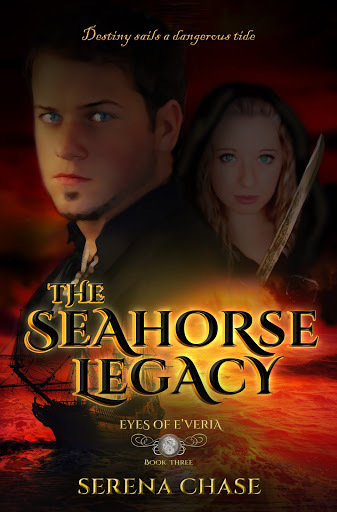 When I first heard that the cover of The Seahorse Legacy was being changed I was maybe just a tad bit disappointed because I liked the old one. But this, this new one, was better than I imagined. My favorite part is the ship in the red light of sunset. And Cazien’s icy blue stare? Oh, yeah. You couldn’t ask for a better cover. Just as Cazien summons the courage to collect his bride, dark rumors and darker deeds crawl up the coasts, calling its guardians, the Seahorse Pirates, into action—and Cazien away from Erielle. But even though the Oracle’s Daughter knows nothing of the contract to which she has been consigned, Cazien’s enemies have somehow learned of his interest in Erielle. And if they reach her before his ancestor’s weighty oath is executed, the Seahorse Legacy will be forfeited…. and darkness will be given reign. SERENA CHASE lives in Iowa with her husband, two teen daughters, and a big white dog named Albus. 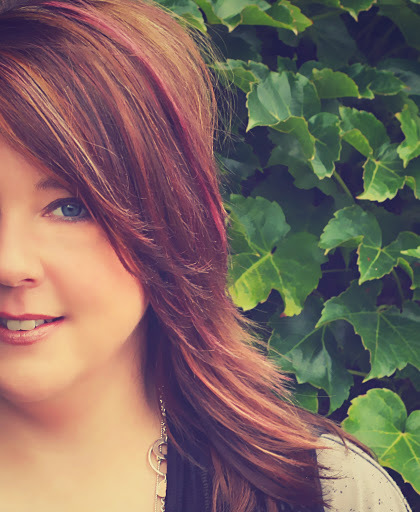 A frequent contributor to USA Today’s Happy Ever After blog, Serena is an avid reader of young adult fiction and inspirational romance and has become a respected influencer within those communities. When not engaged in her varied roles within the publishing industry, Serena can be found coaching her local high school’s Color Guard, watching action movies, and dreaming about someday living in a cottage by the sea. Connect with Serena Chase on Facebook, Instagram, Pinterest, and Twitter (@Serena_Chase) and visit www.serenachase.com to subscribe to her newsletter and gain access to exclusive, subscriber-only content.